Vicky and Tennessee. Victoria was born on 23 September 1838 into a large and impoverished family in Homer, Ohio. By the time she and her sister, Tennessee Celeste, were in their early teens, their family was staging medicine shows at which one of the brothers sold cancer “treatments” and the parents hawked an “elixir of life” with a picture of the attractive Tennessee on the bottle. The two girls entered spiritualistic trances in which they offered comfort to the bereaved and the ill. Marriage and Social Reform. When she was fifteen Victoria married a physician, Canning Woodhull, with whom she had two children. Leaving her husband, Victoria worked briefly as an actress in California, then returned to Ohio and teamed up with Tennessee to perform feats of spiritualism and mesmerism. The sisters were dogged by accusations of fraud, prostitution, and moral turpitude. When one of Tennessee’s cancer “patients” died, they had to flee Ottawa, Illinois, to avoid an indictment for manslaughter. In 1865 Victoria met an attractive Civil War veteran, Col. James Harvey Blood; prompted by Victoria’s “inner voice,” both parties quickly decided to divorce their spouses, although Victoria would always retain Woodhull’s last name. She claimed to have married Colonel Blood, but no record of the marriage exists. By this time Victoria and Tennessee were becoming famous for their exploits. They cut their curly hair short, appeared in men’s clothing, and continued to support their parents, their siblings, and Victoria’s children through spiritualistic feats. Americans were shocked, titillated, and endlessly fascinated by the beautiful and daring sisters. Demosthenes, Finance, and Politics. In 1868, Victoria claimed, the spirit of the ancient Greek orator Demosthenes appeared to her in one of her trances and told her to go to New York City. There she and Tennessee gained an appointment with the ailing and recently widowed railroad promoter Cornelius Vanderbilt. The “Commodore,” who had long been a devotee of mysticism, was charmed by the sisters’beauty and liveliness and soon became a silent partner in their surprising new career. Setting themselves up as stockbrokers on Wall Street, the sisters soon became known as the “Queens of Finance.” The brokerage firm of Woodhull, Claflin and Company quickly prospered, no doubt supported by insider tips—as well as capital—supplied by Vanderbilt. Also in 1868 Victoria met the eccentric Stephen Pearl Andrews, a disciple of various European radical social reformers and a proponent of a philosophy he called “pantarchy.” According to pantarchy, marriage was unnatural• and should be replaced by “free love.” Andrews advocated equal rights for women and the communal ownership of property. He and Victoria wrote a treatise on free love and shared property, Origin, Tendencies and Principles of Government, which was published in 1871. Around this time Victoria decided to run for president of the United States. On 14 May 1870, partly to publicize her candidacy, she and Tennessee brought out the first issue of Woodhull and Claflin s Weekly, edited by Andrews and Blood. The journal quickly gained a reputation for muckraking and for propounding outrageous beliefs. It was in its pages that Karl Marx and Friedrich Engels’s Communist Manifesto (1848) was first published in America. The magazine also advocated legalized prostitution, short skirts, and free love. TheWeekly lasted for about six years. Women’s Rights and Scandals. Congressman Benjamin F. Butler, a former Civil War general, helped draft Woodhull’s first important speech, an 1871 appearance before the United States House Judiciary Committee in which she argued that the Thirteenth and Fourteenth Amendments to the Constitution, which granted black men the right to vote, also enfranchised women. Leaders of the National Woman Suffrage Association were present in the galleries, and her modest, attractive demeanor charmed even the most rigid moralists among them. Her revolutionary words, however, were at variance with her manner. She declaimed boldly that “we mean treason; we mean secession … we are plotting revolution … we will overthrow this bogus Republic and plant a government of righteousness in its stead.” Woodhull’s attempt to become the leader of the National Woman Suffrage Association was defeated by Susan B. Anthony. Undaunted, Woodhull ran for president in 1872 under the auspices of the Equal Rights Party. But on 2 November 1872, a few days before the election, the Weekly ran a story claiming that the preacher and reformer Henry Ward Beecher had carried on an affair with one of his parishioners, the beautiful wife of Woodhull and Claf-lin’s friend Theodore Tilton, and another story alleging that a stockbroker, Luther C. Challis, had seduced two young girls. Woodhull and Claflin were arrested on obscenity charges, and Woodhull received no votes in the election. The sisters were later acquitted. England and High Society. Vanderbilt died in 1877, leaving the sisters without his support. They left for England, where they caused their usual sensation. An enamored English fan, John Biddulph Martin, to the dismay of his wealthy banking family, asked Woodhull to marry him; they were finally wed in 1883. Two years later Claflin married Francis Cook, a wealthy aristocrat. The sisters became noted for charity work and in their later years were finally accepted into English society. In July 1892 Woodhull launched a new periodical, the Humanitarian, which she coedited with her daughter, Zula Maud. Both sisters traveled back to America on several occasions, raising excitement with each visit. Tennessee died in 1923; Victoria on 10 June 1927. Emanie Sachs, “The Terrible Siren”: Victoria Woodhull, 1838-1927 (New York: Harper, 1928). “Woodhull, Victoria (1838-1927).” American Eras. 1997. Encyclopedia.com. 22 Feb. 2015<http://www.encyclopedia.com>. Weston, Victoria. America’s Victoria, Remembering Victoria Woodhull features Gloria Steinem and actress Kate Capshaw. Zoie Films Productions (1998). PBS and Canadian Broadcasts. “Victoria Claflin Woodhull”. Suffragist, Social Reformer. Find a Grave. Apr 9, 2004. Retrieved Aug 17, 2011. 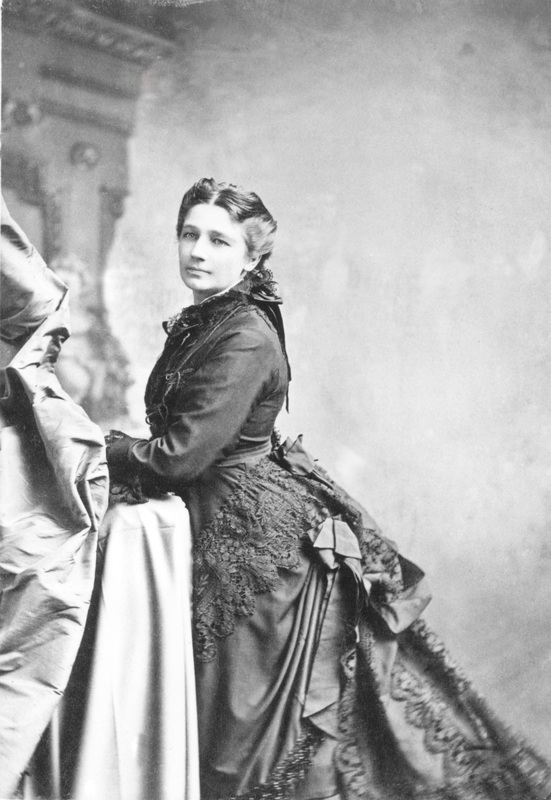 To create engaging content to inspire people to learn about Victoria Woodhull. She was the first woman to run for US President, but she was much more than that. Learn about her story. We will soon be releasing this PBS featured documentary into an interactive iPad App. If you have a documentary that you'd like developed into an iPad App, contact us! Victoria Woodhull was the first, but she sure won't be the last women to campaign for US President! I throughly enjoyed America's Victoria and look forward to exploring your iPad App! Sign up here to receive news for Victoria Woodhull & iPad App!